A search of the Longs Peak area in Rocky Mountain National Park that began Tuesday morning gave no clues as to the whereabouts of a man reported Monday as likely to be missing. Beginning at sunrise, Rocky Mountain National Park Search and Rescue Team members searched sections of the Longs Peak Trail, as well as sections of the Boulder Field to the Keyhole area and the trail to Chasm Lake, for 20-year-old Micah Tice, whose vehicle was found Monday afternoon at the trailhead. Searchers encountered deep snow and high winds. Assisting Rocky Mountain National Park Search and Rescue Team members included Summit County Search and Rescue Dog Team, a Colorado National Guard helicopter and crew and Alpine Rescue Team members. The Colorado National Guard helicopter conducted an initial aerial reconnaissance, however the flight was curtailed due to wind gusts over 90 mph on Longs Peak. The U.S. Air Force Academy requested assistance in locating Tice, who is a cadet candidate, after he was last heard from late Friday, according to park officials. Tice’s planned destination was unknown. Weather on Longs Peak on Saturday was poor with significant snow accumulation, extremely high winds and bitterly cold temperatures. Park rangers are asking for anyone who has been in the Longs Peak area since Saturday morning, or who may have had contact with Tice regarding his planned route on Longs Peak, to contact the park at (970) 586-1204. Tice’s disappearance marks the third this year in the Longs Peak area of the park. Ryan Albert, a 30-year-old man from New Jersey, was reported missing by a family member Oct. 5 who had last seen him leaving the previous day for Longs Peak. Search efforts for Albert were forced to cease Nov. 2 due to poor weather and visibility. Jens Yambert of Urbana, Ill., was reported missing in late August. 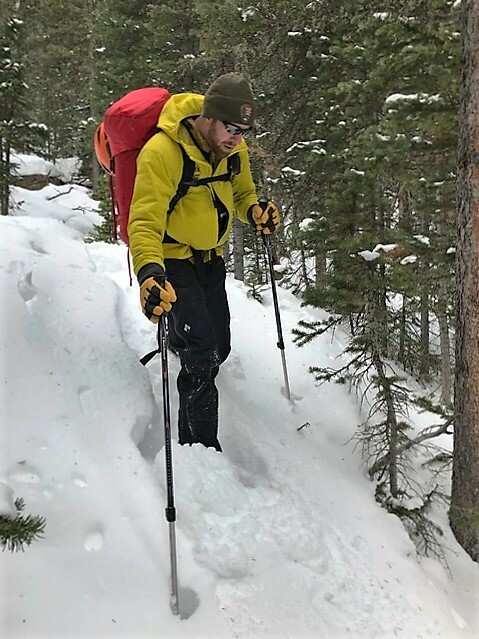 His body was found by Rocky Mountain National Park’s Search and Rescue ground team members west of Keplinger’s Couloir at an elevation of 12,600 feet. The body was located in extremely steep and rugged terrain, according to officials. While Yambert’s planned destination was unknown, a possible route may have been Clark’s Arrow to the summit of Longs Peak, according to park officials.